Between October 20 and November 8, a CLC visitaition team met with the leaders and pastors of the “Upper Myanmar Ev. Lutheran Church” in the country of Myanmar (formerly Burma). Upper Myanmar Evangelical Lutheran Church (UMELC) was founded by the Rev Pau Za Khen in April 1999. Currently the church has a membership of 6,480 in 62 congregations with 23 ministers. Members are mainly indigenous people from the Chin, Kachin and Shan States of Myanmar. The church has been self-supporting from the beginning and holding on to the faith in the Lutheran doctrine and practice inherited from their founding leaders. Through previous correspondence, we had learned that this independent Lutheran synod was searching for training and assistance from a confessionally sound church. This first visit was exploratory in nature. Our representatives were Missionary David Koenig, Mission Board member Larry Hanson, and CLC member Mark Bohde. We are supplying the UMELC with doctrinally sound teaching materials. 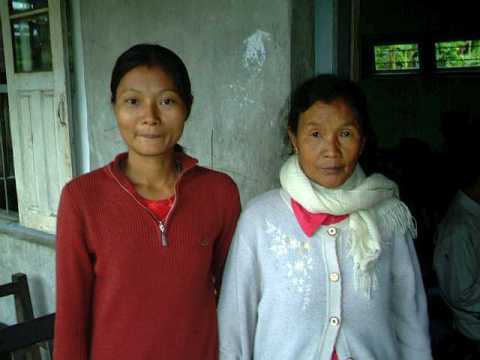 Chairman Thang and Secretary Kham plan to visit Missionary Koenig in India, early in 2009. 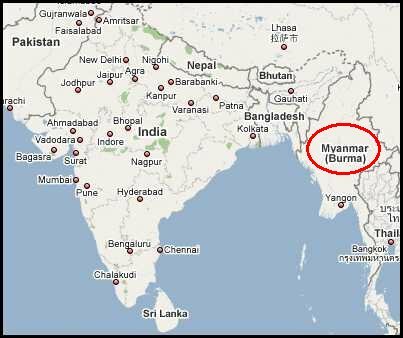 The next visitation to Myanmar would likely be in November of 2009. * That the Lord would relieve the famine conditions in Chin State due to rat infestation and devouring of rice. We were formerly independent local Baptist congregations without affiliating ourselves with any denomination. 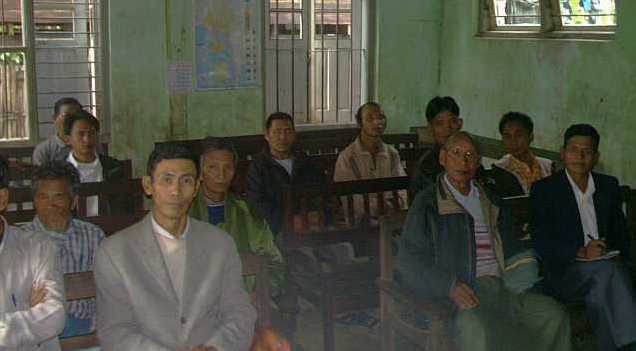 However, when we come to understand more fully about the doctrine and government of the Lutheran Church, which we accepted wholeheartedly, we organized ourselves into Chin State Evangelical Lutheran Church in 1999, which we changed to Upper Myanmar Evangelical Lutheran Church in 2003 because of churches planted beyond the Chin State. Rev. Isaac Moon, Pres. of the India Evangelical Lutheran Church, and Rev. N. Kaizanang, Executive Sec. of the Eastern Ev. Luth. 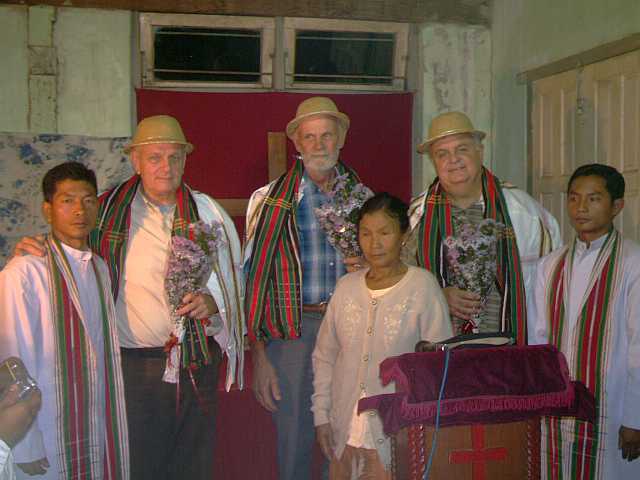 Ch., Manipur, came to Khenman village of which the former President was the village chief and the pastor as well, and inaugurated the Lutheran Church with 26 families on April 17, 1999. The Church was later registered with the Myanmar government as the UMELC. The single congregation at Khenman has now grown to 56 local congregations with a total membership of 5630 with nine ordained ministers who are asssigned a minimum of five congregations each or more depending on the distance. The visions and dreams of the UMELC may be summarized breifly as following: We want the UMELC to grow into a vibrant and edified Church to proclaim the Word of God without adulteration as taught by Martin Luther and the other reformers. We are praying for the chance of sending out missionaries and evangelists to the unreached tribes in the hill areas of Burma. Upper Myanmar is primarily a tribal zone where the people are poorer than the rest of the country. As a Lutheran Church we are isolated and out of fellowship with other Lutheran bodies because of the area location of our Church. We also need the prayers and good-will of other brothers and sisters without which our growth is extremely slow. Growth and edification of church and expansion of the church. At Kalaymyo itself all our church office and the building where we meet for worship are rented. We are praying for a permanent site of our own where we can function as servants of the living God. A Home for Children. As a poverty-laden country, there are orphans and deserted children abundant in our area. When we see them every day we are filled with love and compassion. We are praying the Lord to give us the chance to help these helpless children in our midst. The former chairman of the UMELC was a man by the name of Pastor Pau Za Khen. 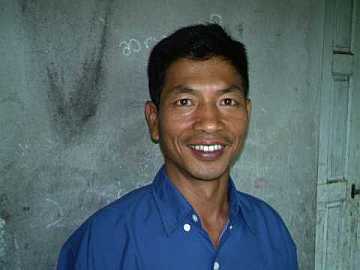 Early in 2007, he was kidnapped and brutally murdered, presumeably on account of his Christian faith. Pictured above are his widow and daughter.